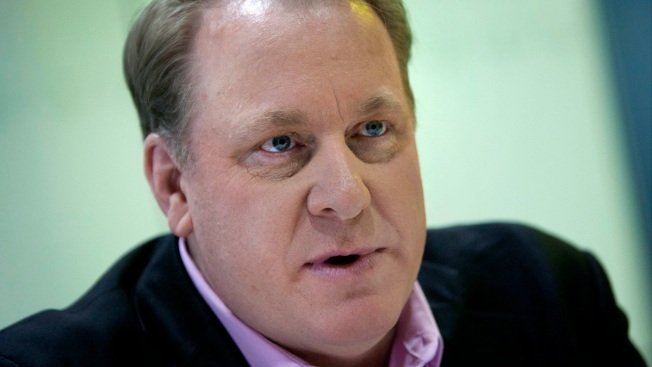 The disastrous $75 million deal between Rhode Island and 38 Studios, the video game company started by former Red Sox pitcher Curt Schilling, was in the works months before originally acknowledged, according to once-secret documents released Thursday. The Rhode Island Economic Development Corp. lured 38 Studios to Rhode Island from Massachusetts in a 2010 deal that gave the video game company a $75 million state loan guarantee. The company ran out of money and went bankrupt less than two years later. The EDC sued Schilling, executives at 38 Studios, its two top former officials and others that aided the deal, seeking to recover the money taxpayers lost. Hundreds of documents and tens of thousands of pages related to the lawsuit were kept under seal until Thursday, after a judge ordered the documents released, including depositions of three governors, two House speakers and others in the highest ranks of state government. Schilling was not deposed. Former Democratic House Speaker Gordon Fox was, although he refused to answer questions, invoking his Fifth Amendment right against self-incrimination. Fox is now in prison for unrelated corruption charges. In one deposition, a lawyer for defendant Wells Fargo asserted that Fox had dinner on July 21, 2009, with Michael Corso, a lawyer who worked for 38 Studios, and Thomas Zaccagnino, a 38 Studios board member. Fox was asked if they discussed 38 Studios. A dinner meeting in July 2009 indicates the deal may have been in its early stages nearly a year before state lawmakers passed the $125 million loan guarantee program used to get 38 Studios its money. At the time, Fox was House majority leader. He became speaker in February 2010. The legislation was introduced in May 2010 and signed into law weeks later. 38 Studios received 60 percent of the money in the program, something many lawmakers said they never intended. Fox's predecessor, William Murphy, testified that he first met Zaccagnino in fall 2009, when he stopped by Fox's office and Corso and Zaccagnino were there. He said he was told Zaccagnino was a real estate developer with a tenant in Massachusetts - Schilling's 38 Studios - that was looking to expand. Murphy said he was asked if he wanted to tour the facility, and given that he was a Red Sox fan, he said yes. He toured the facility on Oct. 8, 2009, and met Schilling. He later introduced Schilling to Robert DeLeo, the Massachusetts speaker of the House, at DeLeo's Statehouse office in December 2009, and the two later took a tour of 38 Studios, Murphy said. Murphy said he and Fox never discussed whether Rhode Island could become involved with 38 Studios. The governor at the time, Republican Don Carcieri, was one of the deal's most visible champions. He testified he did not know about the 2009 meetings with Fox and Murphy when he first met Schilling at a fundraiser at Schilling's home in March 2010. He was shown a 2014 Providence Journal article that suggested Murphy and Fox had met with 38 Studios in October 2009, and asked if he had any discussions with Fox about 38 Studios before March 2010. "I don't believe - no, I don't - I thought I was the one giving the lead, OK. I thought I was the one that found, you know, 38 Studios as a possible - I had no idea there were other conversations that preceded that, none whatsoever," Carcieri replied. A lingering question has been whether state leaders earmarked $75 million of the loan guarantee fund for 38 Studios, and if so, when, and who knew about it. Keith Stokes, then the EDC's executive director, testified that 38 Studios requested a $75 million state-backed loan by March 24, 2010. During his three-day deposition, he made it clear the governor and House and Senate leaders were well aware of what Schilling's company sought, supported the idea and moved swiftly to find a way to help through legislation - even as they denied a deal with the company was in the works. Stokes testified about a series of communications and meetings between Schilling, state leaders and their staffs in which the creation of a $125 million loan program took shape. The expectation, Stokes testified, was that $75 million of the fund was destined for 38 Studios. "I would have to say by April and May of 2010, with dialogue I'd had with my team, but also dialogue that I had with General Assembly leadership in the House, there seemed to be a specific interest of the House leadership of supporting the creation of this job guarantee program and specifically supporting 38 Studios," he said. Carcieri acknowledged that as of April 1, 2010, there were discussions between the state and 38 Studios about a giving the company a loan guarantee of $75 million out of the $125 million program. Rep. Steven Costantino, who helped push through the deal as chairman of the House finance committee, said he did not believe $75 million of the program was "committed" to 38 Studios and said it was increased from $50 million to $125 million because of "demand in the community." Corso, the lawyer who worked for 38 Studios, was asked in his deposition whether he received more than $2 million in fees in connection with the company's move to Rhode Island and the EDC loan transaction, and whether he received an equity stake in 38 Studios. He replied "Fifth Amendment privileges" to both questions.